Any flooring retailer is only as good as its fitters. Many retailers in this trade are let down by incompetent and rude fitters – we would never allow that. All of our fitters are seasoned professionals who have all fitted thousands of floors successfully in their careers. We only work with fitters who we’d be happy to have in our own homes. It’s not just about their technical skills though (important as that is), we make sure that we don’t have surly, miserable fitters because we want our customers to be pleased with the finished job and also to be absolutely comfortable and trusting of the fitters we use. Sadly this is a trade that does seem to attract ‘cowboys’ – so you can be completely at ease when we carry out the work and know that our fitters are fully capable and are actually able to smile, hold a pleasant conversation, are well mannered and can even manage to fit your carpet properly and enjoy a cuppa. Be careful when feeding them though – they can make digestive biscuits disappear at an alarming rate! We accept full responsibility for the fitting and offer lifetime guarantees on all work carried out by them. How many of our competitors have that amount of confidence in their work? We can install most floors within a week – some products take a little longer to arrive, but there are no really long waits for carpets any more. The longest delivery usually takes 7-10 days. We fit primarily on Tyneside, but also on Wearside (subject to minimum orders), parts of Northumberland and Durham. Remember, we only fit products that we’ve sold. 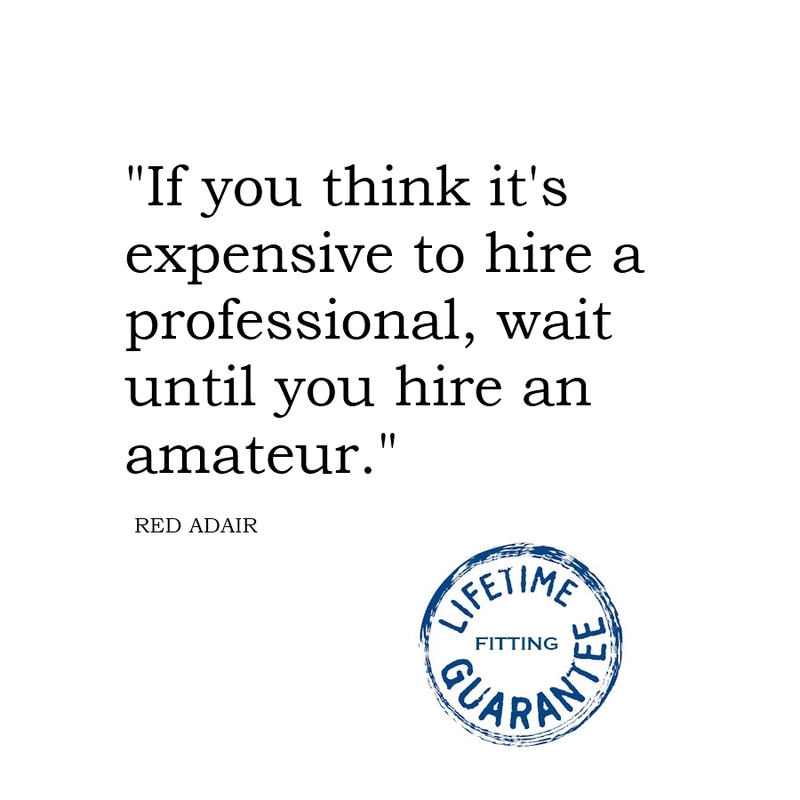 We do not offer a ‘fitting only’ service.